Welcome to the living room. It’s not easy to put your feet up and relax when you’re feeling so miserable all the time and it’s hard to unwind if your gut is tense with anxious feelings. We are all familiar with the phrase, ‘the truth hurts’ and when it comes to the subject of mental health, nobody wants to be told ‘just snap out of it’. Indeed, God hates it when we wound the wounded with our insensitive words that have more power to hinder than heal. However, Jesus has the power to completely free us from depression and anxiety and wants us to turn to him for help. The ‘truth hurts’ bit is that he’s not a magician, nor genie that we can get out of the closet whenever we need his assistance, but he wants to have a relationship with us. The ‘don’t wound the wounded’ bit is that many of you have experienced such horrendous times in your lives, at a point when you were helpless to prevent the evil things done to you and so the last thing you want to hear right now is that God wants your heart and wants to forgive you of your sins. That’s too much to take right now and he understands that. You are angry, bitter, confused, hurting and stuck in a dark place. You think God put you there. You think he has walked away. You think that rather than being a loving father, he is either a heartless dictator or a senile old man, incapable of reaching down and pulling you out of the mess your mind is in. You may even be a Christian, struggling with depression as much as non-believers and feeling like a hopeless fake. This blog is not about telling you to snap out of it and praise Jesus, even though true worship is a great gloom-buster. It is about helping you to see that God is with you in the dark times and that he is the only dependable friend when others are not there to empathise with how you are feeling. 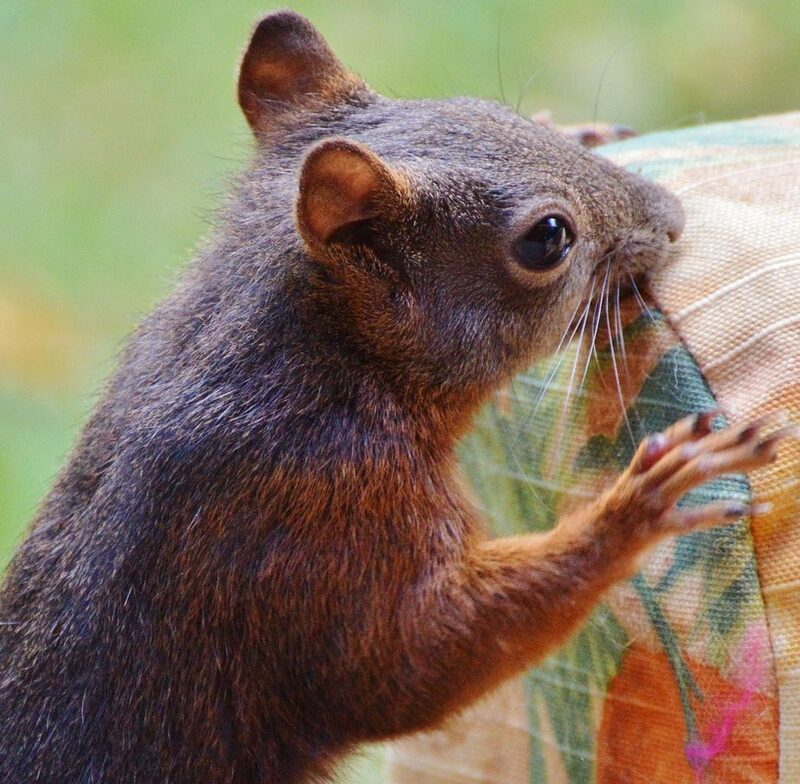 Like that little squirrel trying to move the sofa all by himself, we often try to fix problems on our own. He is focussing on the wrong thing, for he was created to scurry up tree trunks and enjoy consuming nuts and acorns – but instead, he is looking at what is right in front of his eyes – the big obstacle that needs to be moved. The good news is that there is someone who knows about every sorrow you have ever faced and he understands that the way you reacted to them is unique to you. No two people are affected in the same way by the same misfortune. God knows you intimately – he’s the best psychologist one could ever find. But he wants you to draw near to him so he can comfort you properly, speak to you more clearly and guide you more directly. Recovery may be a lengthy process filled with set-backs, tears and blind rage, but he promises to walk with you. Depression can happen to anyone, even successful church leaders and it can happen when we least expect it. Through these pages, I hope to be real with you, and my heart is that you will hear God’s gentle voice whispering to you so that you will rise up with the full assurance that depression and anxiety are not going to beat you. My heart is that you will learn that when we give Jesus full control of our lives, depression does not have to take root, neither does anxiety and suicidal feelings. So release the load, put down the sofa and sit on it. This may seem as unusual as trying to relax on a couch in the middle of a field. My prayer is that you will find him talking to you amongst these pages and as he gently speaks to your heart, that being in his presence will soon feel as normal as enjoying an afternoon on a settee in the sun. Feel free to hop into the comment box to say ‘Hello’ and I promise to wander over to your site to see what you’re up to. Hi Vivien, thanks for your lovely comments. I look forward to popping over to read some of your posts too. Have a blessed week. followed you. My sites are: http://crystalsphotobloggingsite.wordpress.com and http://daisymae2017.wordpress.com . Hope you and everyone else follows both of my blogs. Hi Crystal and Daisy Mae. Thanks for stopping by and for the two links. I will check them out very soon. Have a great day. Salut Bernard. Merci pour le proverbe: “Love must spread in sincere friendship to counter the pitfalls littered by the adversary who pours, often, his poison into our hearts. We are travellers in a fleeting world to be able to straddle it without a lot of pain let’s make friendship our constant criterion.” For those who need a translation 🙂 Have a good day. I find the bar on the right to follow you! Thanks for commenting on my blog, and my prayers are with your friend with Parkinson’s. God does answer prayer – – – many times when we least expect it, and in the manner we least anticipate! Thanks you very much. God bless. You have a wonderful blog, Sharon–makes me feel so welcome…like, if I brought brownies, I could come into your lovely home and sit for a spell! God bless you!! Thanks. Yes it is good, I’ve just popped over to have a look.